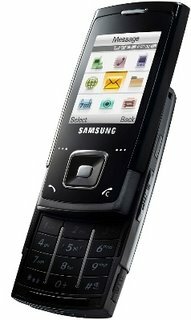 Francis Yeo has reviewed this mobile phone from Samsung, the SGH-E900. Elegance and functionality rarely stand shoulder to shoulder; it's virtually always either or in most situations. In fact, they are almost exclusive of one another, especially when applied to the engineering of mobile phones. Samsung however, might have hit the sweet spot between these two glaring polarities with the SGH-E900 slider phone.